Success Story: Keep Graeme on the Hop! "A mutual friend in Canberra recommended an event to me. It was the Anzac Eve Peace Vigil, which Graeme Dunstan organises - a lantern lit lamentation at the Australian War Memorial. Deeply moving and truly beautiful. 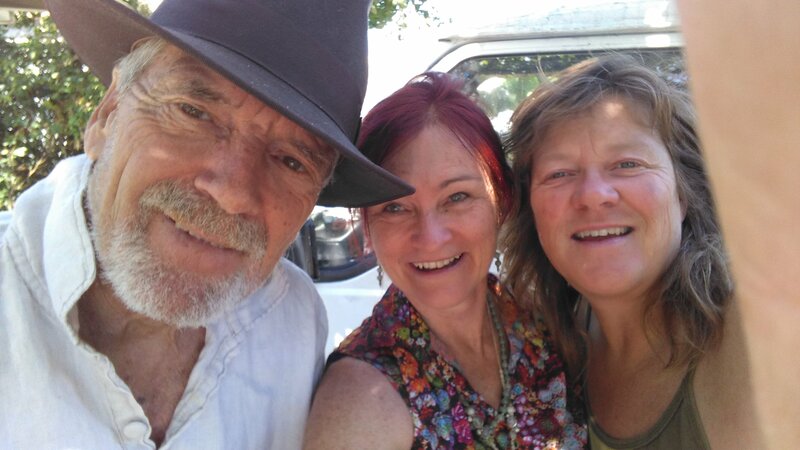 Later when I interviewed him for community radio 2XX, I learned Graeme had a long history of organising beautiful events including the mythic and transformative 1973 Nimbin Aquarius Festival and that he is esteemed as a peace warrior, a culture hero and inspiration by many. Wanting to move closer to him, I participated in some of his Peacebus missions, peace vigils, peace camps and barrack gate SpeakOuts, helping out best i could to rig his colourful banners and flag displays. That was when I became aware of Graeme as an honourable elder with a limp. Full time nomad, he had not got himself on any waiting list and now the pain was wearying him. I have met wonderful people around Graeme's campfires: fantastic funky caring people who also loved Graeme’s work. We talked the crowd funding idea over with some his peace movement and formed a team. They supported us and offered to help in a variety of ways. In particular I want to acknowledge the kindness and love of Quaker Grannies, Dawn Joyce, Peri Coleman and Helen Bayes. When we launched the campaign Graeme’s many friends and supporters jumped in to help with large and small donations!. Always the fear of offending when asking for help but what a Buddha field of love opens up when generosity is put into practice. I was nervous about this re-connecting with his friends and thrusting the hat. To the contrary it became a joyous affair. Graeme was much affirmed and his friends delighted to affirm him. This story of generosity, we feel, is good medicine for people near and far. Social capital spiked. May others be inspired. For Peace. For justice. For the Earth. To the dust!"